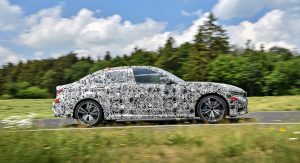 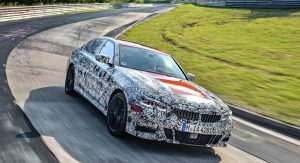 BMW has released the first details about the 2019 3-Series. 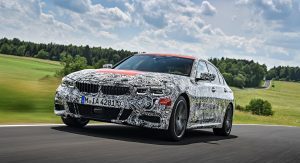 Expected to debut at the Paris Motor Show, the redesigned sedan promises to be sportier than ever as the automaker says the car’s center of gravity has been lowered by 10mm (0.4 inches). 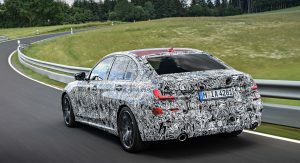 The car also weighs up 55 kg (121 lbs) less than its predecessor. 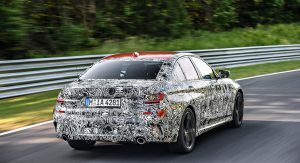 The upgrades don’t stop there as engineers “significantly enhanced” rigidity levels and kept the car’s weight distribution at a perfect 50:50. 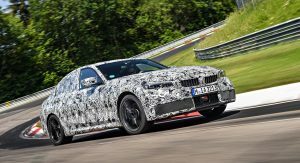 BMW went on to say agility and steering precision has been improved thanks to a wider track and new axles. 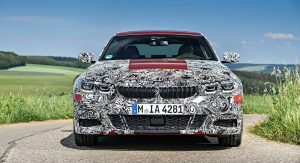 The 3-Series is renowned for its handling and engineers paid special attention to the car’s suspension. 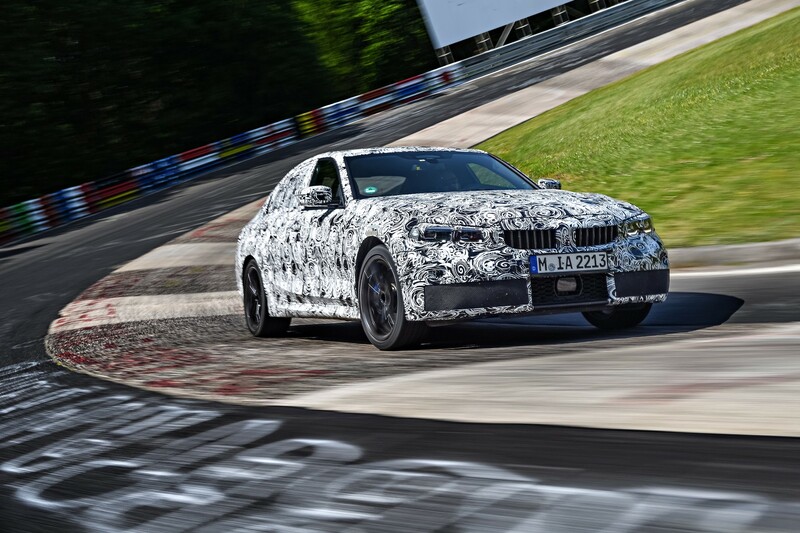 As part of this effort, they developed an innovative damping system which uses lift-related dampers. 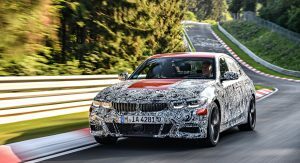 BMW says they operate “continuously and progressively in relation to the respective spring travel” and this allows road imperfections to be neutralized “gently and precisely.” While the standard suspension aims to strike a balance between sporty and comfortable, the M Sport Suspension definitely favors the former. 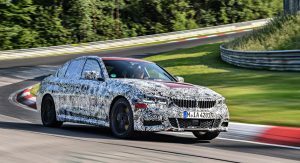 Cars equipped with the sport suspension will have a 10mm (0.4 inch) reduced ride height and 18-inch lightweight wheels with mixed tires. 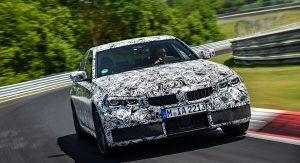 According to BMW’s Head of Driving Dynamics, Peter Langen, the damping forces on the M Sport Suspension are approximately 20 higher than those on the standard suspension and this means the difference is “much more perceptible than before.” He went on to say the M suspension is now “much sportier, with more rigid bearings and stabilizers, harder springs and additional body struts.” Cars outfitted with the M Sport Suspension will only be available with the Variable Sports Steering system. 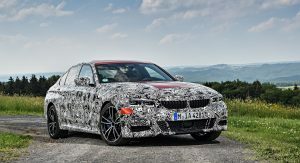 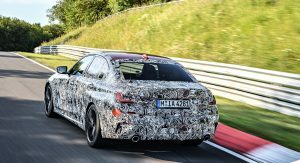 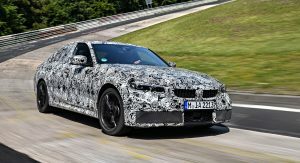 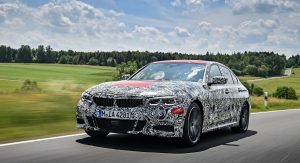 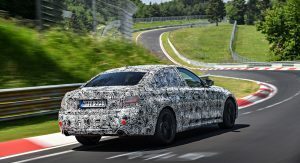 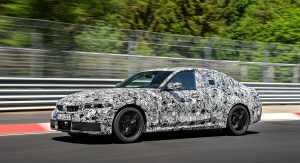 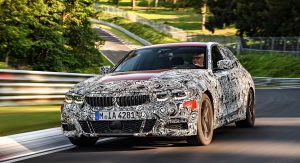 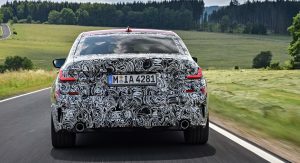 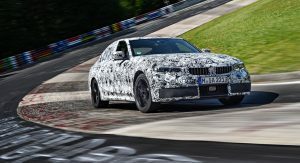 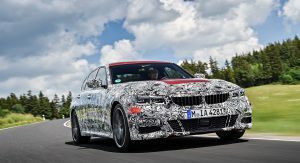 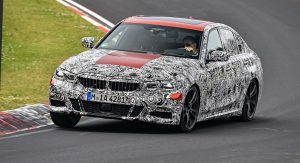 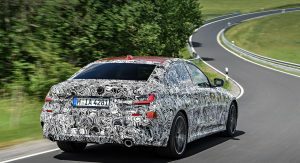 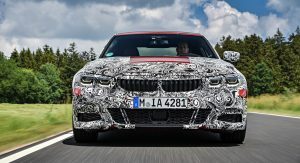 BMW says the latter has been “specially reconfigured” for the redesigned sedan and will provide “much greater precision to slight steering movements, without seeming nervous in central position.” Other performance features include an M sports differential with an electronically controlled locking function that is linked to the Dynamic Stability Control system. 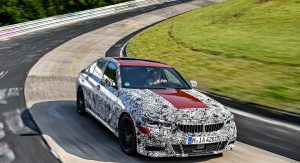 BMW says this allows the differential to preemptively influence both understeering and oversteering without brake intervention. 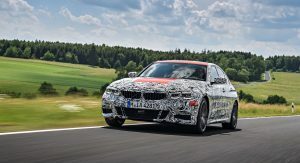 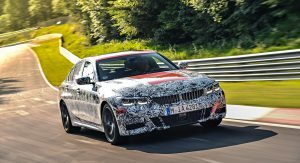 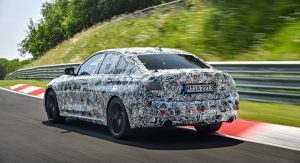 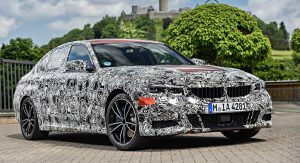 BMW was tight-lipped about performance specifications, but confirmed the 3-Series will be offered with a “thoroughly revised” four-cylinder petrol engine. 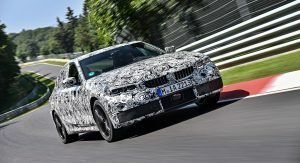 The engine will be the most powerful four-cylinder ever fitted in a production BMW and it will be approximately five percent more fuel-efficient than its predecessor. 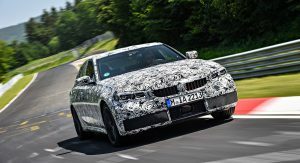 Part of this increased efficiency is due to the car’s improved eight-speed automatic transmission. 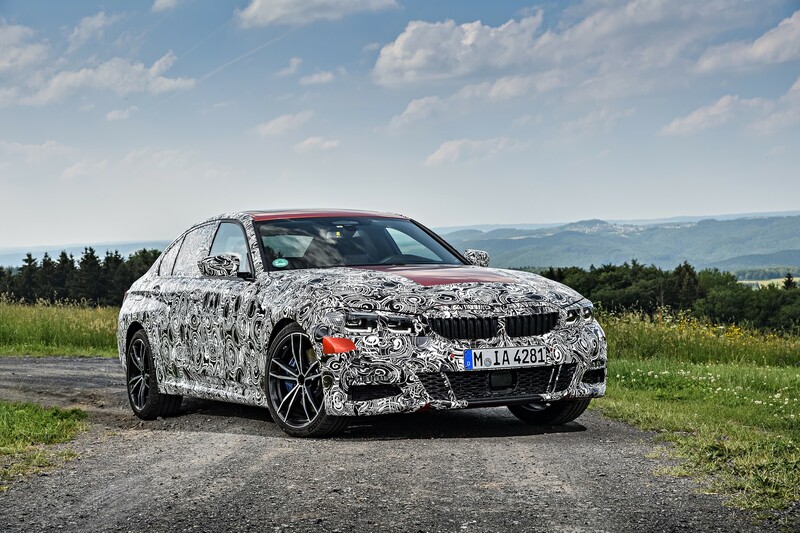 Speaking of eco-friendliness, the engine will come equipped with a particulate filter. 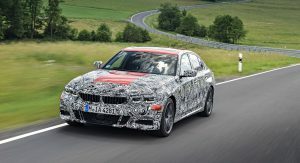 BMW says this, along with other changes, will allow the engine to meet Euro 6d-TEMP standards. 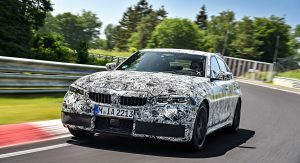 There are currently no comments for 2019 BMW 3-Series Drops 121 Pounds, Will Have The Most Powerful Four-Cylinder Ever.